There is nothing more important than keeping your building safe, especially in today’s world. There are far too many people out there who want nothing more than to make a quick buck at your expense. These people are not limited to those outside your company! There have been many business owners, large and small that have been brought down by treachery from within, and contrary to popular belief, it does not necessarily need to be a small time heist. In fact, many problems are caused by leaks that simply should have been stopped in the first place. A great example would be an employee that steals only a few items at a time, but as it progresses, you begin to notice your profit margins decreasing. A little can be a lot, especially in the industrial world. For this reason you will need to find the best security system installation services in Boca Raton to take care of your interests. It can be quite a bit of work, but there are great companies out there who will have your best interest at heart. 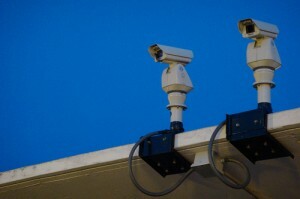 Your search for the best Boca Raton security system installation company will certainly not be in vain. There are plenty of options out there, and all you need to do is begin your search for them, even if it won’t be easy. Before you can find a good security company to address your needs, there are a few questions that you will need to address. If you do not address them now, you can be rest assured that the security company will go over them with you in the near future. How Large is your Facility? – The size of your facility does not necessarily dictate how many cameras you will need, but it will affect your costs to a point. What is your Facility Layout? – This is the question that goes hand in hand with the number of cameras that you will need, and with good reason. While you might only have a small facility, you might find that you need more cameras than a much larger facility of the same type? Why? Because no matter what size your facility happens to be, you may still have several twists, turns, and various rooms that you did not account for. If you want a full, comprehensive view of your facility, then you will need to ask a security company to evaluate your grounds and give a recommendation. How Extensive Does your Security Need to Be? – Okay, this is probably the most important question that we tend to ask people, and with good reason. Do you need to cover every single inch of your facility with cameras, or will you be able to get by with just a few cameras in key locations? In most cases you will be able to place cameras in the most vital areas, but in some businesses, it is necessary to watch every hallway and every door. It really depends on your policies and your preferences. How Much are you Willing to Spend? – When it comes to the security and welfare of your facility price should be no object but we understand that you and every other person happens to live in a realistic world. You might not be able to spend millions of dollars on a state of the art security system but that does not mean you cannot keep yourself protected from harm. There is obviously a lot of work to be done and several assessments to be made, but you can get it done! There As you can see, there are many things to consider before you can have your facility upgraded with the necessary security equipment. In addition to looking at the design of your building however, you will need to consider just how sophisticated you want the security system to be. As with any other product on any market and in any industry, you will quickly discover that there are varying levels of quality. Something to keep in mind with the security industry however, is that while some features are helpful, their absence will not necessary create a lack in your security system. One great example would be the IP camera system. What is it exactly? How does it work? We like this feature in particular because it allows the user to view the camera feed from virtually any location. If you have a wifi or 3G enable device, you will be able to connect to the camera feed no matter where you are, and with some software, you will even be able to control the movement of the camera in question. Surveillance technology has moved forward, giving birth to brand new methods of property preservation. It is critical that you choose the right setup for your building, and that you have the right people to man the stations. It is important to remember that while you might have a great system in place, errors can still occur on the human side. A machine can only do so much, but in the end, ‘so much’ can make all of the difference in the world.